Alberto Del Rio Deletes Controversial Tweet, Rapper Pays Tribute To Steve Austin, Eden Blogs - Wrestling Inc.
- Following this week's episode of SmackDown on Syfy, Zeb Colter addressed his and United States Champion Alberto Del Rio's "haters." 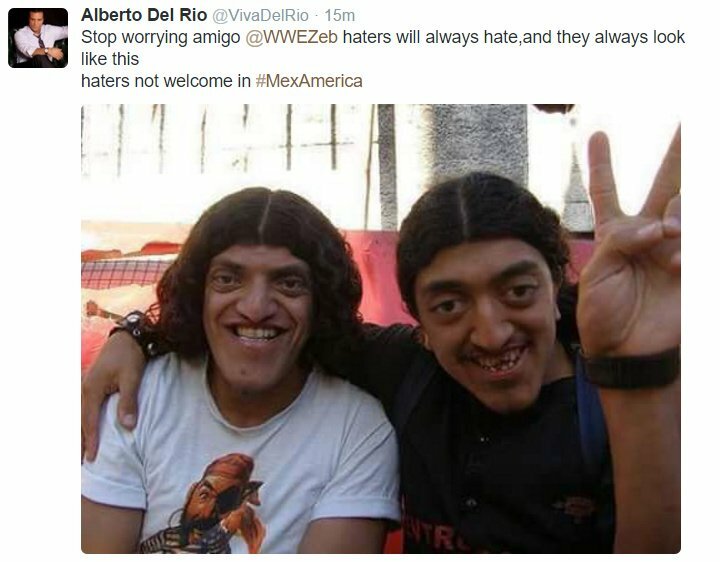 Del Rio responded to their "haters" and tweeted this photo of two young men. His tweet touched a nerve with some fans, with some calling for his job. The post has since been deleted. - SmackDown ring announcer Eden has posted a blog on her visit to Leeds, England during WWE's European tour. - Rapper Mac Miller paid tribute to "Stone Cold" Steve Austin at his concert Friday night in Santa Cruz, California. After he was done performing, the WWE Hall of Famer's theme song played with Miller drinking beer and giving a Stone Cold Stunner to his hype man. He then said, "And that's the bottom line, 'cause Stone Cold said so!"